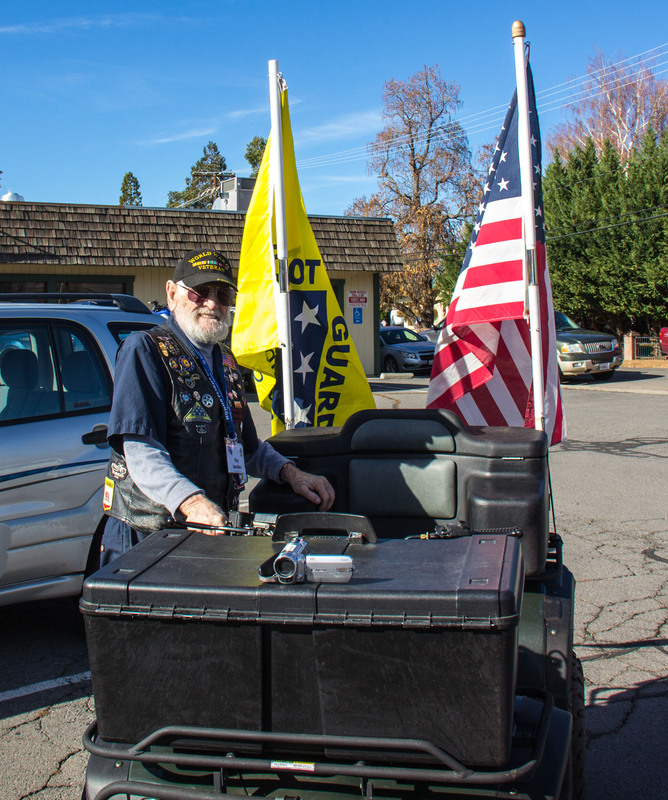 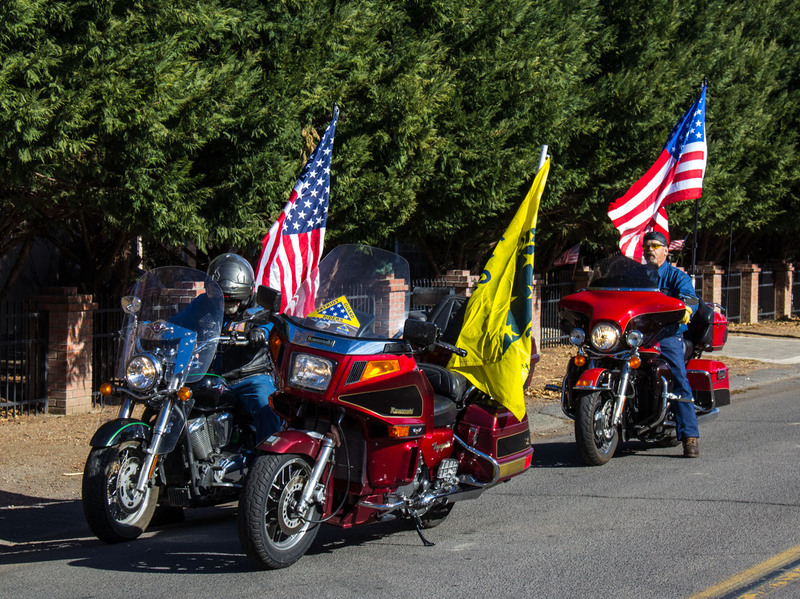 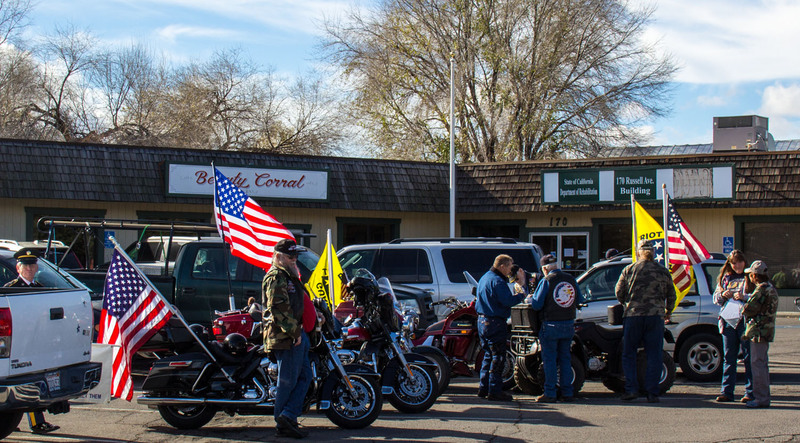 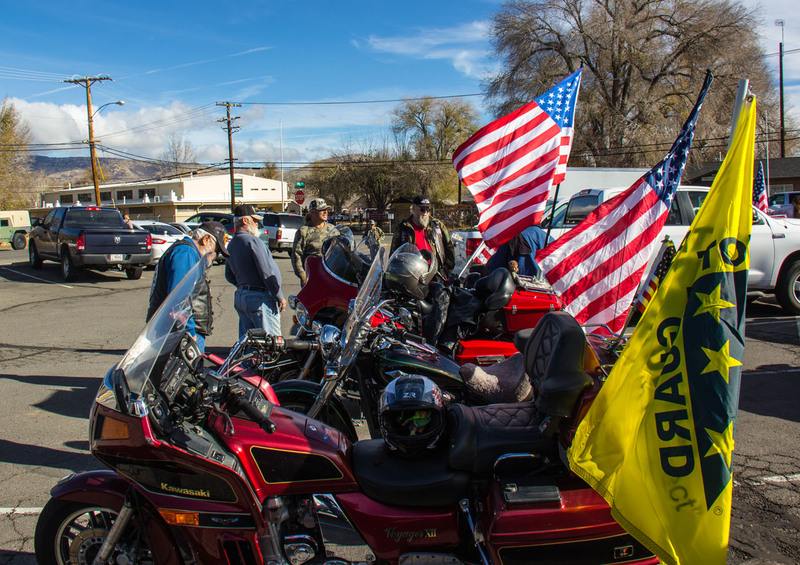 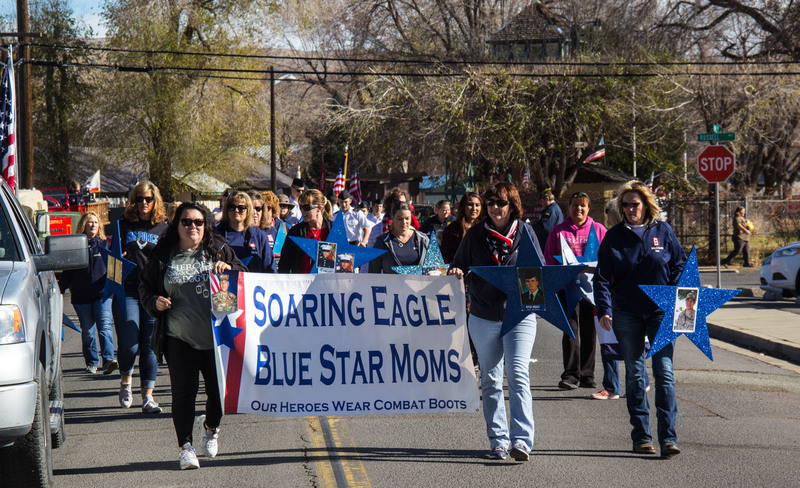 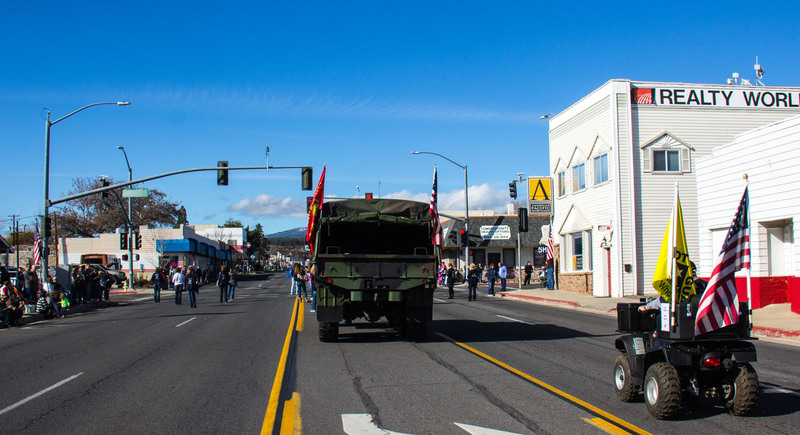 The Patriot Guard Riders having been invited to participate in the Lassen County Susanville, CA Veterans Day Parade. 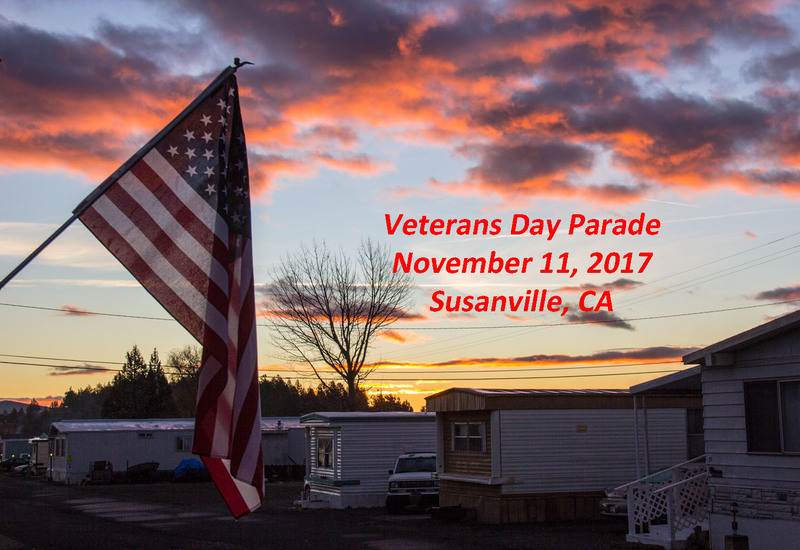 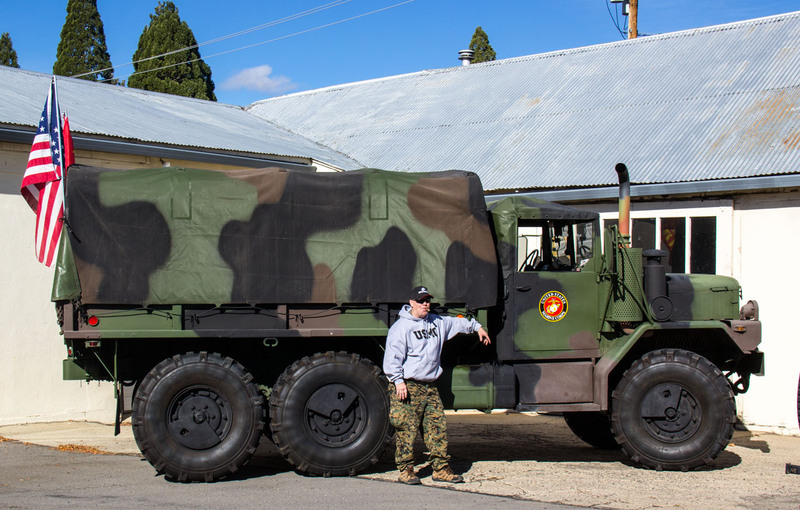 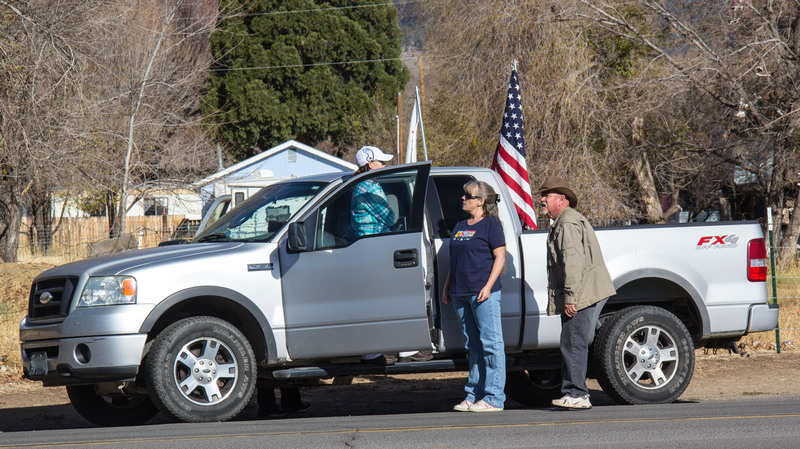 We met at the usual staging area near the Susanville National Guard buildings at 10:00 - 10:15am. 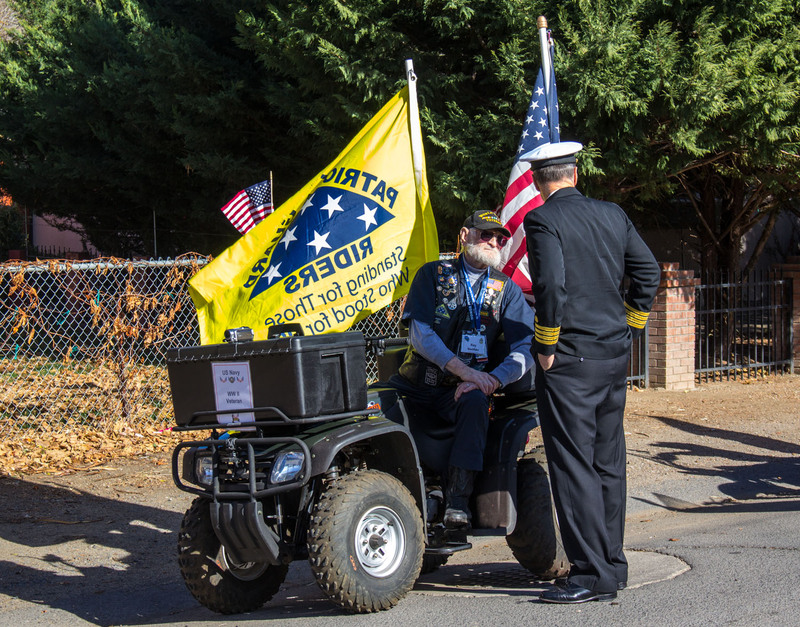 A total of 11 PGR in combination of motors and cages, participated. 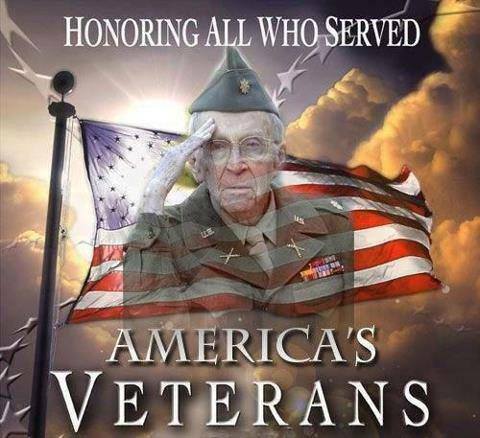 Thank you ALL for showing your support to our Veterans. 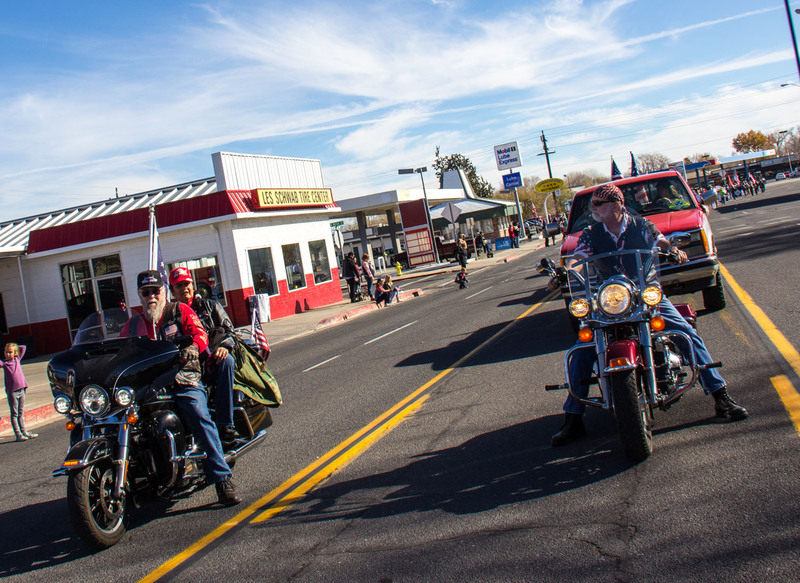 The weather was sunny and clear with temperatures in the mid 50s.